Something magical has come aboard the Disney Dream. 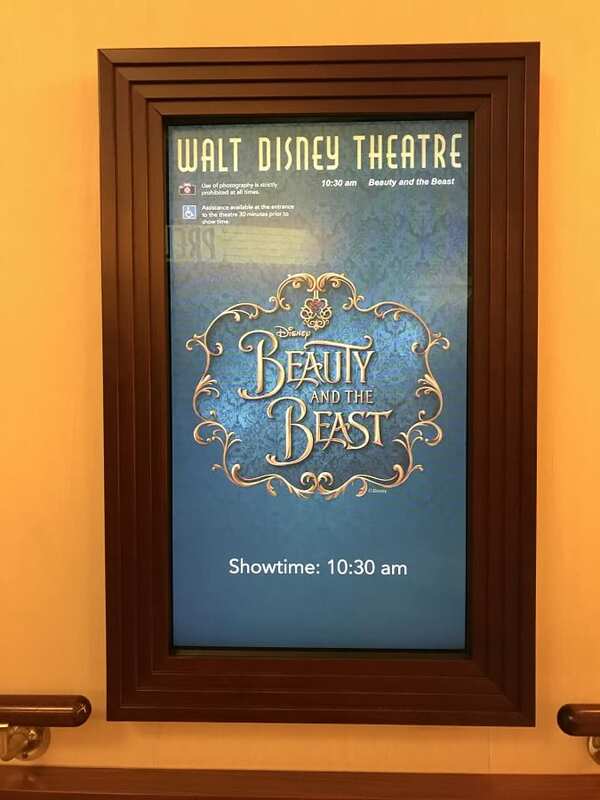 The new Beauty and the Beast Show is officially a part of the Disney Cruise Line musical show line-up and is beginning to enchant audiences in their 1,340 seat theater. But does condensing a Tale as Old as Time, integrating new technology, casting new characters all while keeping things fresh really appeal to families, aka “will my kids be scared?” Check out my first look aboard the Disney Dream’s newest musical in this Disney Cruise Line’s Beauty and the Beast Show Parent Review, plus exclusive behind-the-scenes interview video with the creators of this new classic. This ain’t your average boat show. Before we jump into my “parent thoughts on the new show,” it’s best to get a glimpse into the minds of the creators. 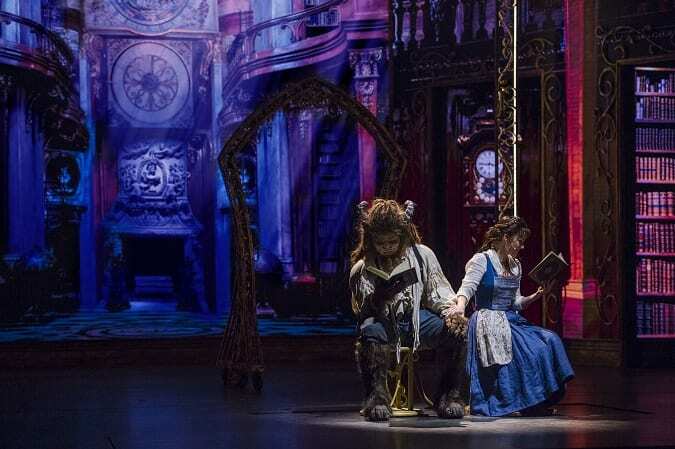 What were they really thinking when it came to the challenge of bringing the Live-Action Beauty and the Beast to the Disney Cruise Line stage? I got to have a rare opportunity to interview the Director, Writer, Set Designer and Video Designer of the new Beauty and the Beast Stage Show. Would you believe that they had to get a script together before the movie was ever released? Get exclusive Disney fun facts, insider secrets & more with this special interview with Connor Gallagher, Sarah Wordsworth, Jason Sherwood and Aaron Rhyne. Just click play on the video above! Ok, now onto the nitty-gritty, parents. Time to roll up the sleeves. The stage show is approximately 1 hour and 15 minutes long, which by Disney Cruise show standards is a little bit on the longer side. (Disney Cruise Line’s original show Believe, for example, is 50 minutes long.) It’s challenging to condense a 2 hour+ movie! But just because it’s long doesn’t mean that it’s boring. The quickness of the story telling keeps the stage on a constant fluid movement – definitely entertaining for little ones as people and scenery are flying about the stage. Add in songs, dancing, stage effects, costuming and technology…enchanting entertainment abounds. But definitely keep the show length in mind when thinking about bringing kids that get easily antsy. If your family was looking for the animated version of the stage show, it’s not here. This show is based on the live-action Beauty and the Beast just released this spring of 2017. A different twist on the characters, the songs and the story, your family will notice that Disney really stepped up their live-action stage show game. But this could be confusing for kids thinking that they will be seeing the classic animated characters on stage. I highly recommend prepping them for this new classic before entering the theater. Don’t believe that you know everything when it comes to the telling of the Beauty and the Beast story. 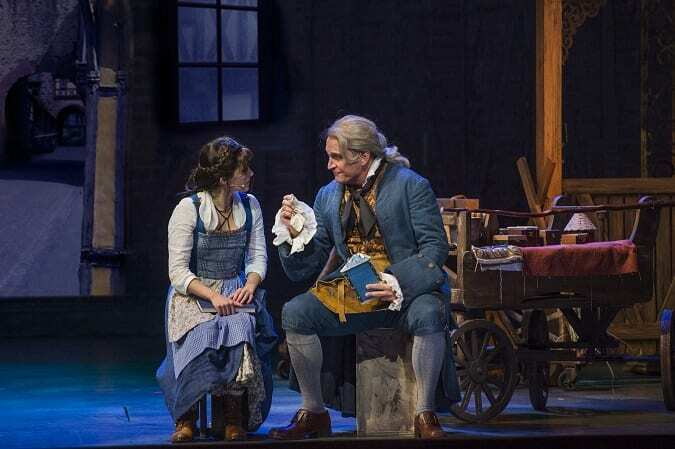 Disney has a way of integrating so much more new material for the senses to discover – taking a moment such as Belle singing on the hill and creating one of the most fantastical highlights of the whole show. Clever scene changes, new technology and talent beyond words make this new musical a sight to see aboard the Disney Dream. The set and video design for this musical are out of this world. LED walls are the featured highlight of the show as the story is told and contained inside of a “music box” setting. Super clever. As the scene changes the walls change with bright colors and stunning technology integrated throughout. Think video technology on steroids. The vivid imagery is a delightful add for kids as the stage comes to life. Everything from the new movie gets a fresh new perspective on the stage, from the character personalities to the fantastic puppetry. 2 new songs from the live-action are included as well, reimagined for the stage. But don’t worry, the classic feel of Beauty and the Beast is still intact. Old songs with new twists (Be Our Guest was a surprise), new character lines (Go get ’em, Belle!) and an even more arrogant Gaston (is that even possible?) definitely knows how to keep audiences enchanted. Disney has done it again with the perfect casting for this live stage show. 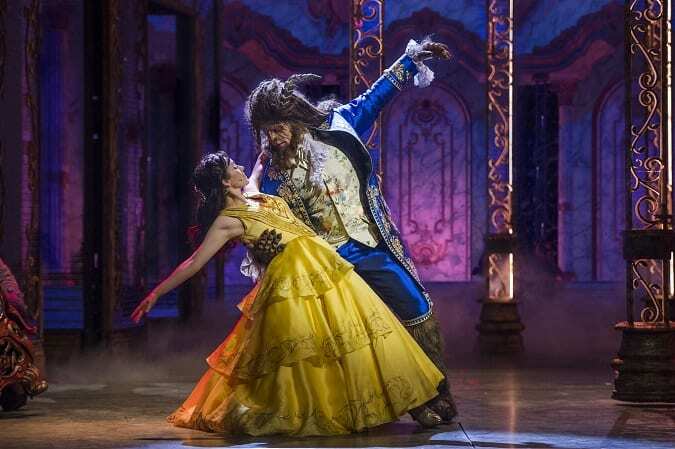 The musical numbers are simply delightful, with a strong Belle character, a super suave Gaston and a rough Beast. But it’s not the main characters that steal the show. The Enchanted Objects have to be one of the most delightful sets of casting I have seen in a Disney musical. Your family’s eyes will dart back and forth between watching the puppets and watching the actors as they move, sing, act and use expert puppetry – it’s really a talent to see firsthand. Will My Kids Be Scared? Darkness – There are many moments when scenes are in the dark or fading to black. The Wolves – Thankfully these wolves are creating using men behind intricate puppets, but with glowing evil yellow eyes. This scene does take place in the dark, similar to the live-action film, but not as long or as intense without the lifelike CGI wolves. Scary, possibly. 100% believable? No. Stage Effects – There are MANY different stage effects to consider as well – including lightning, smoke/fog and pyrotechnics. 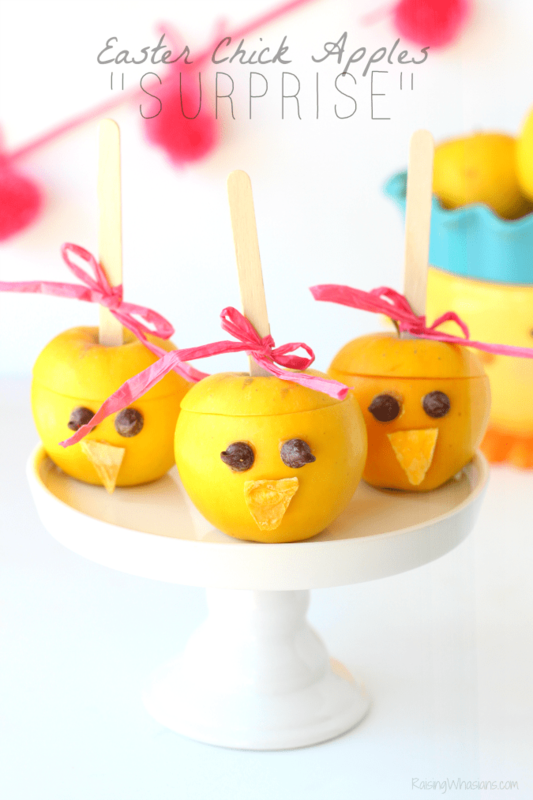 These may scare little ones. The Beast – Overall this guy is NOT as scary as he appears during the live-action. Comparable to the costuming you would see at the theme parks, you won’t find any scary CGI added to The Beast. But do note that he still has a fiery temper and still uses the “damned” line from the new film. In short, if your kids loved the new Live-Action Beauty and the Beast movie, they will absolutely adore the new stage show. However if you have more timid, anxious and easily-scared children, this may be a perfect time to drop your kids at the Disney’s Oceaneer Club or It’s a Small World Nursery for about an hour and a half instead. Not quite sure yet? I recommend sitting on an end row with your child in case you need a quick exit. I definitely will be bringing my 4-year old preschooler daughter and 9-year old son to see the new Beauty and the Beast show when we cruise on the Disney Dream in February. I can’t wait to see what they think! This wasn’t my first time aboard the Disney Dream, and it certainly won’t be the last either. 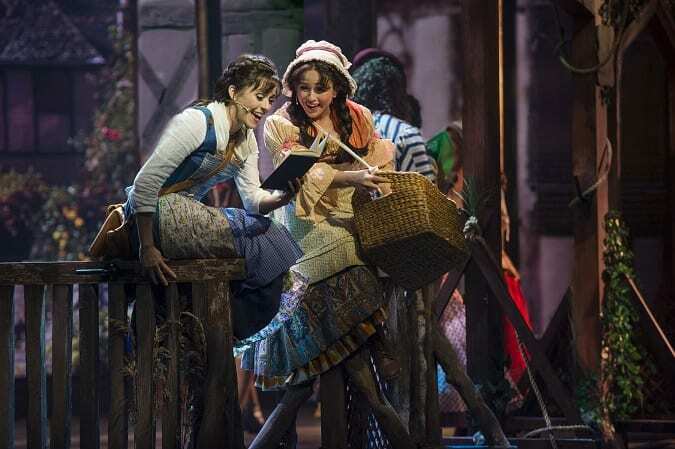 There’s a lot that goes into retelling a Tale as Old as Time, especially for a stage show unlike any other! Capture the beauty, the technology, the puppetry, the story and the FUN of the new Beauty and the Beast show, now aboard the Disney Cruise Line’s Dream. 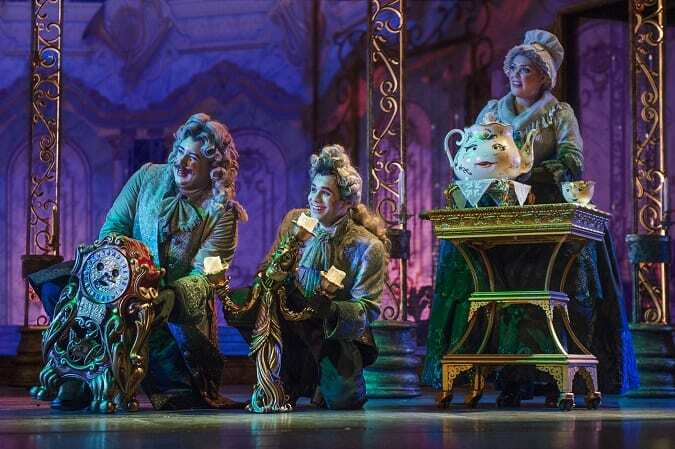 Is your family excited for the new Beauty and the Beast show aboard the Disney Dream? Live-Action Beauty and the Beast Movie Review | Safe for Kids? I was invited by Disney Cruise Line to come aboard the Disney Dream for the showing of Beauty and the Beast. All magical opinions are my own. Be sure to follow Raising Whasians via Facebook, Twitter, Google, Instagram, Pinterest and YouTube for family travel tips, Disney insider info & more. I would love to watch this one live! I’m sure it’s amazing! Beauty and the Beast is one of our favorite movies from Disney. Thanks for the heads up! This sounds like a great show! I would think this would be excellent for most kids over the age of 7 or 8. Any younger and the actual darkness and smoke might be a bit much for them. I bet this will be a beautiful cruise event. I Love everything Disney does, they really know how to put on a show. I am sure this cruise will be fabulous for anyone who can attend. This is one awesome show to watch while on a Disney Dream cruise. I have always loved the story of Beauty and the Beast. My kids loved it too. Watching this live performance would be an experience to remember. Oh this sounds brilliant! My daughter would definitely enjoy seeing this with me! I think it would be awesome for my family to see. We love all things Beauty and the Beast. I haven’t seen the new Beauty and the Beast yet, but it sounds like they really captured the essence of it with his new stage show. This would be so much fun to watch while on a Disney cruise. What an awesome addition to the show lineup. Beauty and the Best is one show that I never grow tired of seeing, so I would be psyched to see the cruise line version! This sounds like a show our girls would really enjoy and we are thinking of a cruise for spring break so perfect timing. This is very helpful! I would love to see this, but I think my son might not be able to sit through the whole thing. He also might be a little scared. This is all great to know ahead of time. Beauty and the Beast was my favorite Disney movie growing up. Seeing the live-action reaffirmed my love for the franchise. Can’t wait to see this in person soon! It looks like a smash hit. I would love to see it live. I am all about Disney cruises. If this is playing on them now, I am in! I really need to check out a Disney cruise. I saw one when I was on a different cruise line and was just in awe at the ship. This play looks so good. I’ve never been on a cruise, and this looks like some great entertainment! This looks like a great show to see in person! My grandsons would love it! I’ve always wanted to do a Disney cruise and Beauty and The Beast is one of my favorites. I would love to see this live! This would be such a great show to see. My grandsons love the movie and would enjoy this along with myself. This is one of the many reasons why taking a Disney Dream cruise is a must for families. The memories, the experience will surely last a lifetime.